For the first time in New York City, ADCOLOR celebrated a collection of the best and brightest in the advertising, marketing, PR, media and entertainment industries at the annual ADCOLOR Awards ceremony at Pier Sixty at Chelsea Piers. The event, hosted by Janet Mock, was filled with exciting moments from the evening’s honorees, including legendary lyricist and entertainer MC Lyte, Brim+Brew Founder and Creative Director Maurice Marable, Edelman Executive Vice President and Group Head for Public Affairs Brian Ellner, NBC Chief Marketing Offer Pam El and many more. Awards were presented throughout the night by entertainment industry elite, including Aisha Tyler, Jay Manuel, Baratunde Thurston and Laz Alonso. Each year, the ADCOLOR Award nominees and honorees are selected based on criteria surrounding ADCOLOR’s motto “Rise Up and Reach Back”. Those recognized work not only to go above and beyond in their own careers, but also go out of their way to help others and make an impact on their peers. Rock Star is someone who, whether through their primary role or extracurricular activities, stands out as a leader and visionary in the industry. New to this year’s event, the Ad of the Year awards a campaign or single execution that pushes boundaries, promotes conversation and highlights the lives of multicultural, LGBT and/or other under-represented Americans in the mass media. A Rising Star is an up-and-coming young gun with less than seven years of experience. A Rising Star is someone who stands out among their peers as someone who is raising the bar of excellence as they move forward in their career. Established in 2007, an Innovator is an employee who embodies progress and imagination. Someone who stands out among peers as a game changer and pioneer in their role, creating breakthrough developments and/or improvements, whether tangible or intangible. A Change Agent is the individual within a company who is using their talents and position to enhance the corporate culture and create a more inclusive environment. This can be part of or beyond the scope of that person’s primary role. A Legend is a seasoned industry veteran, a trailblazer who pushed the boundaries and created positive change, who wasn’t afraid to be different and who showed brilliance in his/her actions, setting the stage for other generations to take the opportunities made by this legend, even further. This award is presented to two people/companies that work together to provide exceptional and highly effective diversity solutions within their organizations and industries. They may be an agency, marketer, media company or diverse supplier with NMSDC or WBENC certification that teams up for a short or long-term project that furthers diversity and inclusion. The One Club|ADCOLOR Creative Award recipients are creative professional of multicultural background who have demonstrated noteworthy talent and achievement within the media, creative, digital and traditional advertising disciplines. 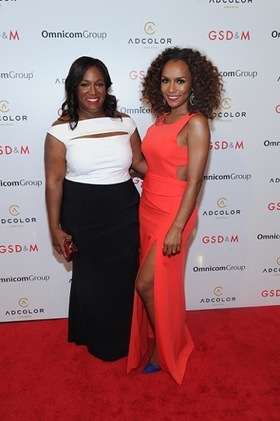 These recipients are chosen by The One Club and will be announced at ADCOLOR Live! The Lifetime Achievement Award honorees are inductees of the American Advertising Federation Hall of Fame. Their inspiring stories of professional and personal success exemplify Rising Up and Reaching Back. 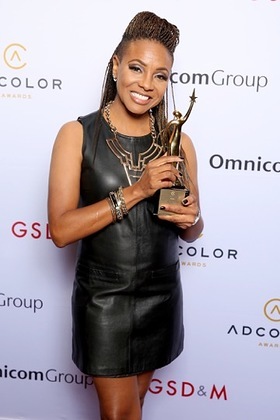 Recipients will be announced at ADCOLOR Live! 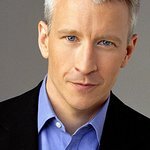 This is presented to an individual who uses his or her platform to serve as the voice of a cause or community – educating and inspiring current and future generations of advertising, marketing, media, PR and entertainment professionals. Each one’s provocative courage, professional brilliance and selfless community outreach have sparked change and propelled progress within their respective industries and the world. The Catalysts are chosen by the ADCOLOR Board of Directors and recipients will be announced at ADCOLOR Live! An Advocate is an LGBT advertising, marketing or media professional who increases awareness of LGBT causes within and outside of the communications industry. The Advocate recipient is chosen by GLAAD and the ADCOLOR Board of Directors and recipients will be announced at ADCOLOR Live!